As a Menlo Park home or business owner, you hate that your floors look shabby — perhaps even disgusting — and you want thorough hardwood floor restoration. So how should you get started? Is it even possible to bring back the floor’s old, glorious sheen? Can you restore on the cheap? The answers depend on a slew of factors, including your budget, your sense of perfectionism, your time and tools, the people that you use (or don’t use) to do the job, and the nature/extent of any damage. Hardwood floors can deteriorate in a variety of ways. They can cup, crown, get stained, peel, bubble, burn, mold and suffer the ravages of a pestilential infestation. 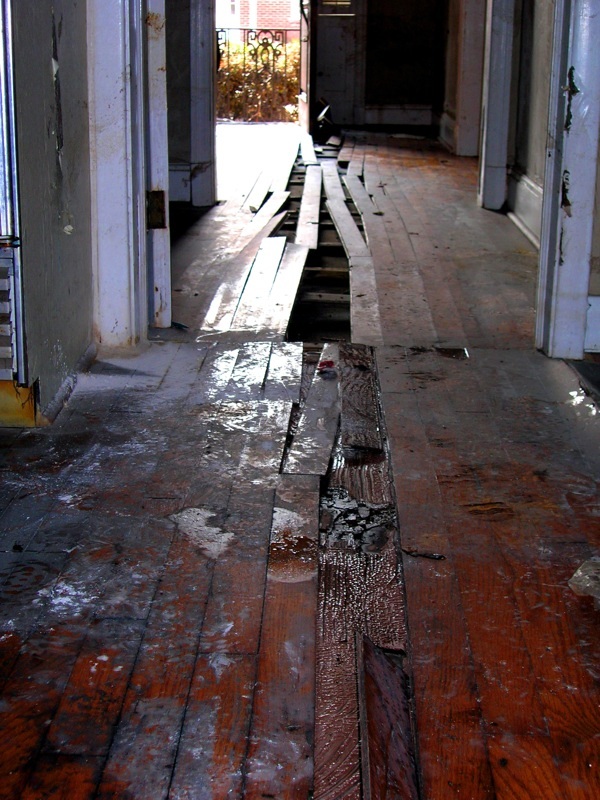 Investigate whether bad maintenance might have caused your hardwood floor damage — e.g. did the past owner of your building use bleach to clean up a wine spill or something similarly dumb? Different types of damage call for radically different maintenance measures. For instance, cupping — a highly common type of damage — stems from an imbalance in moisture. The bottom of a plank gets damp, while the top stays dry. Through the magic of osmosis, the moisture expands through the wood, “cupping” its structure. If you face this problem, dry the floor out and keep it dry. This action alone can often solve the problem. You also need to identify and permanently stop the moisture source. 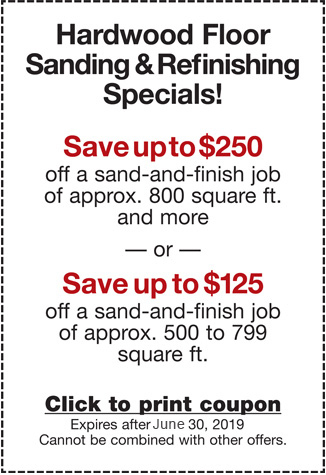 You may need to repair/replace several planks or possibly refinish the whole floor. Stains, on the other hand, can stem from a nearly infinite number of sources, including but not limited to: pets, kids with acrylic markers, wine and blood, dirt and grime, weird cleaners or reagents that spilled, etc. Since diverse stuff causes stains, the treatment/prevention differs. If a dog did his business on your dining room floor, for instance, clean the area with a white vinegar and water solution. Or strategically apply diluted hydrogen peroxide. Rather than comb through the internet to try to find the best strategy to repair your floor, why not turn to the experts at Elegant Floors? We have tremendous experience, great customer satisfaction rankings, and the tools to do the job right. After all, there are better things to do with your time! And if you mess up the hardwood floor restoration, you could hurt yourself or damage your property. Give us a call today to solve your problems now.